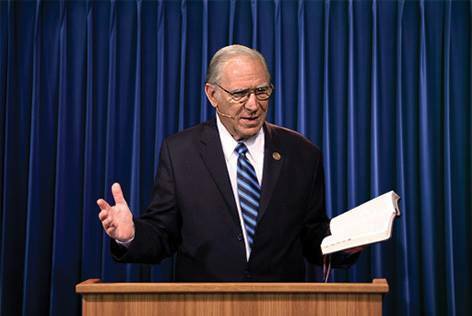 Welcome to the official website of Dr. Chuck Missler. Dr. Chuck Missler, is an internationally known author, is among the best-known Bible expositors in the world, and was a prominent speaker on the subject of Bible prophecy and is featured on many Christian radio and television stations worldwide. He is well known for his Biblical studies including most notably Learn the Bible in 24 Hours, The Book of Revelation, The Book of Genesis, and The Book of Daniel, as well as his topical studies Return of the Nephilim and his Angels series. Chuck and his late wife Nancy Missler founded Koinonia House in 1973. Chuck passed away in May, 2018.